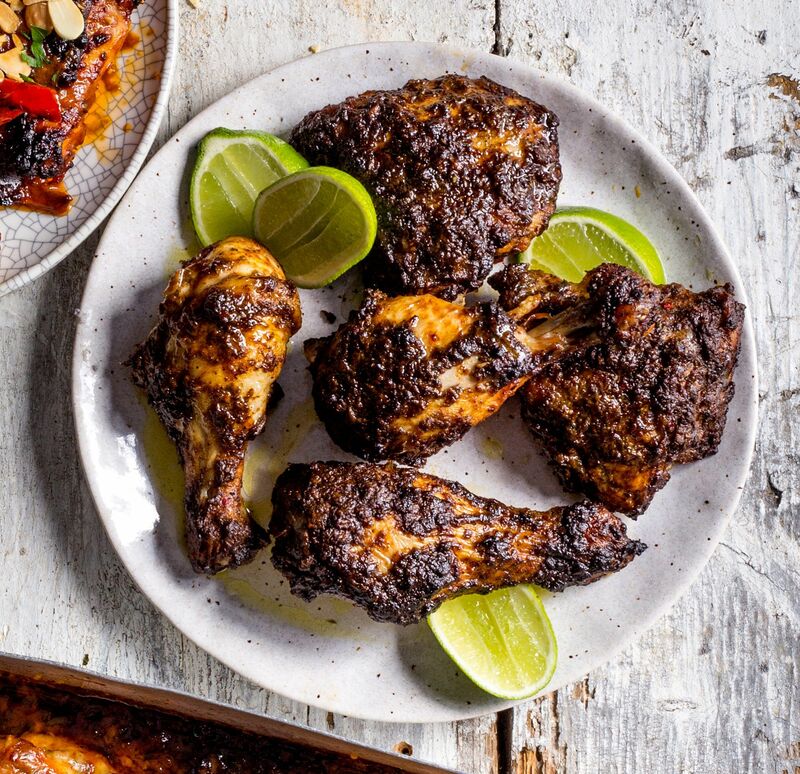 This Jamaican jerk chicken recipe will transport you to Jamaica via your tastebuds. 6 chicken thighs with the bone in. Whizz everything except for the chicken and the lime wedges up in a blender. Mix the jerk with the chicken pieces in a bowl, then spread them evenly over a medium sized baking tray and place them in the oven for 35 minutes. Place them on a serving platter and serve with fresh lime wedges.